Nov. 13—While top Trump Administration officials such as National Economic Adviser Gary Cohn and Treasury Secretary Steve Mnuchin have already made it clear that they oppose reintroduction of Glass-Steagall, last week an Administration spokesman went further. Acting Comptroller of the Currency Keith Noreika took to the hustings to actively campaign against the policy of separating banking from commerce, and against Glass-Steagall in particular. Noreika gave the keynote speech at the Clearing House Annual Conference in New York City on November 8. It was entirely devoted to debunking the idea that a wall of separation between banking and commerce was to the benefit of society, and he utilized all the time-worn fraudulent arguments about how abolishing of Glass-Steagall allegedly didn’t lead to the crash of 2008. 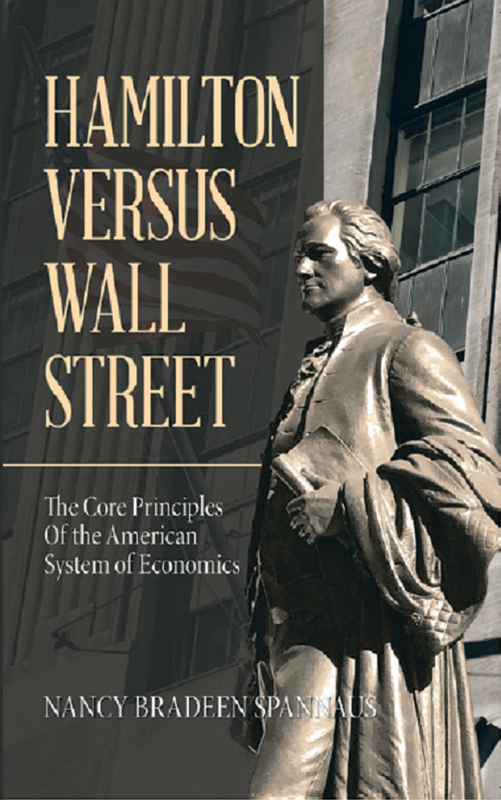 His conclusion was that “mixing banking and commerce can generate efficiencies that deliver more value to customers and can improve bank and commercial company performance with little additional risk.” He did this by ignoring the reality of the broad economic collapse caused by the violation of what he correctly identified as the American tradition of banking separation. To him, rampant speculation and the devastating effect that bubbles’ collapse cause in people’s lives seemed irrelevant. ICBA and the nation’s community banks continue to strongly support the longstanding U.S. policy maintaining the separation of banking and commerce. Prohibiting affiliations or combinations between banks and non-financial commercial firms has served our nation well by limiting systemic risk and restricting commercial access to the federal safety net. Allowing corporate conglomerates to own banks would jeopardize the impartial allocation of credit, create conflicts of interest and privacy concerns, dangerously concentrate commercial and economic power, and unwisely extend the federal safety net to commercial interests. The community bankers have already seen their numbers drastically reduced by the loosening of Federal regulations, such as the elimination of Glass-Steagall. They know that “more competition,” such as letting “nonbanks” like Wal-Mart enter their field, will mean decimation for them, not to mention for their customers. Yet, in order to make his case, he has to make one ludicrous statement and lie after another. In discussing the reasons for the Great Depression and the enactment of Glass-Steagall thereafter, he ignores the speculative excesses of the 1920s, and cites studies that say banks that combined deposits and investments “did better under stress” than others. What about the causes of the stress? In discussing the massive consolidation of banking following the elimination of Glass-Steagall, he basically argues that it wasn’t all bad: after all, due to the lack of Glass-Steagall, Bank of America was able to buy Countyside and Merrill Lynch. And how much taxpayer money went into bailing out Bank of America? Sophistries like Noreika’s have been repeatedly rebutted from 2008 on, including by the famous, and all-but-ignored Angelides Report (Financial Crisis Inquiry Commission), and prominent banking figures such as FDIC vice-chairman Thomas Hoenig. A more recent rebuttal by distinguished George Washington University law professor Arthur Wilmarth Jr. completely refutes all the arguments of the pathetic sophist Noreika. Wilmarth points to the specific mechanisms by which this connection occurred, and says that the danger of a new crash can be reversed by shrinking the shadow banking system, and prohibiting “FDIC-insured banks from entering into derivatives, except for bona fide hedges against risk exposures arising out of traditional banking activities.” The derivatives bubble created by the Big Six banks that control the lion’s share of U.S. banking activity today, under the non-Glass-Steagall deregulated system, represents a ticking time-bomb on the current banking system—a danger which Noreika, and other leading banking officials inside the Administration and out, choose to ignore. The United States economy desparately needs the reinstatement of Glass-Steagall, as the first step in restoring the American System of high-technology economic growth. The independent community bankers know it; the labor movement knows it: and so do millions of American citizens. (See the recent webinar on Glass-Steagall.) There’s a reason the restoration of Glass-Steagall was in both the Democratic and Republican Party platforms of 2016.